Are you moving to some other city for work? If so, then you would have to end your lease agreement of your office with your landlord. For that, you will have to end the agreement and your landlord will have to sign a legal Liability Form to release you from that contract. How to get these forms? Well, our collection of templates consists of Release of Liability form templates. You may also see Liability Release Forms. 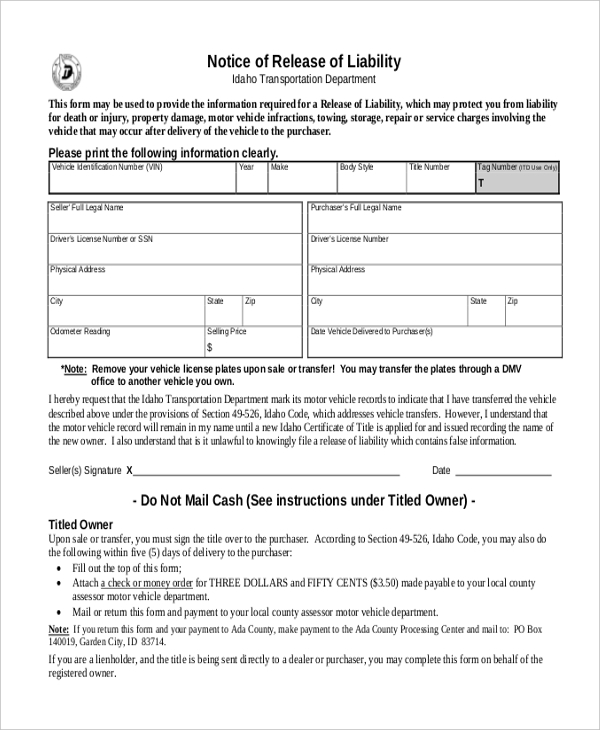 For transferring and releasing a vehicle lease agreement from a previous owner to a new one, this DMV release of liability form template can be very useful. Just download, customize and print for use. 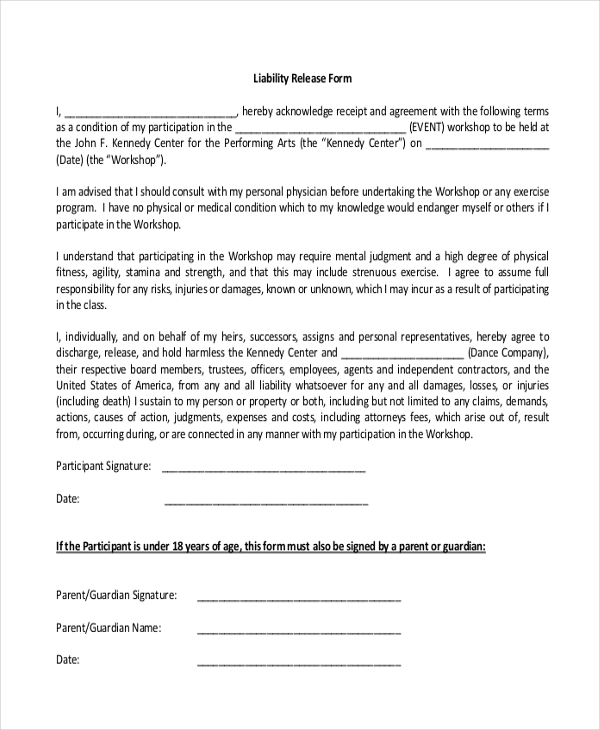 If you own a dance academy, for keeping your institute from any legal liability, you can download this sample liability release form template for your students’ declaration that, the institute won’t be responsible for any injury during an event. 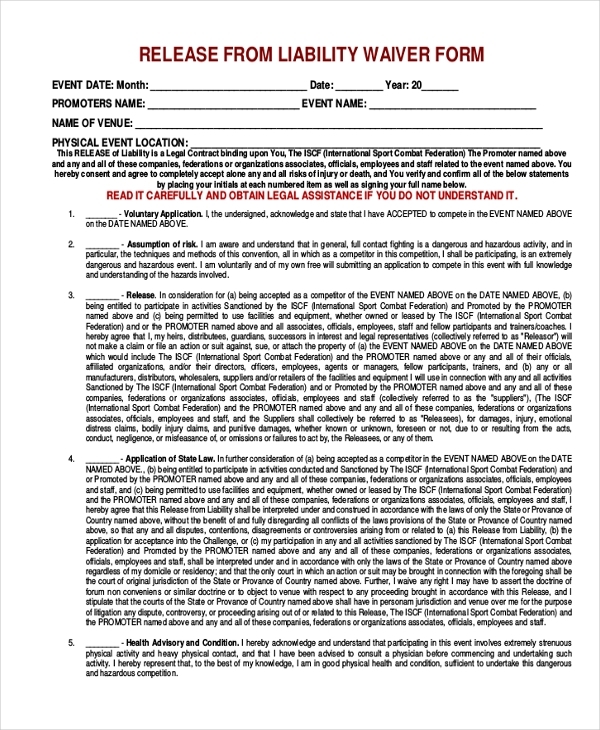 For organizing a sports event, this release of liability waiver form can be used for avoiding any legal problems. Download, edit, print and then give it to the participants for declaring that the organizers won’t be responsible for any accidents caused. For releasing any staff who has been working for your company, this general release of liability form can come handy. Just customize it after download and then print it for use. This notice of release of liability form template can be downloaded by any vehicle lease company owner, for terminating and transferring any vehicle lease agreement. Just edit the content and then Print for use. 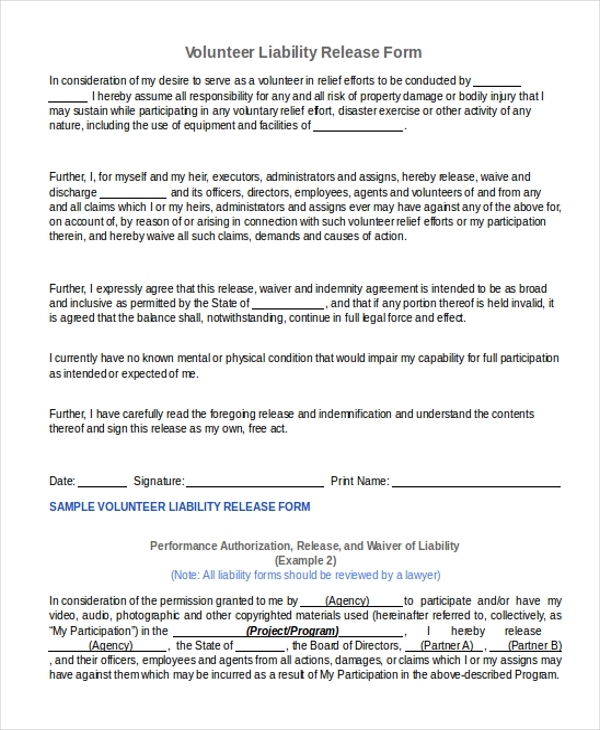 This volunteer liability release form template is very much useful if you are organizing an event for schools or colleges and have taken a student as a volunteer. Just download, edit and print it for use. 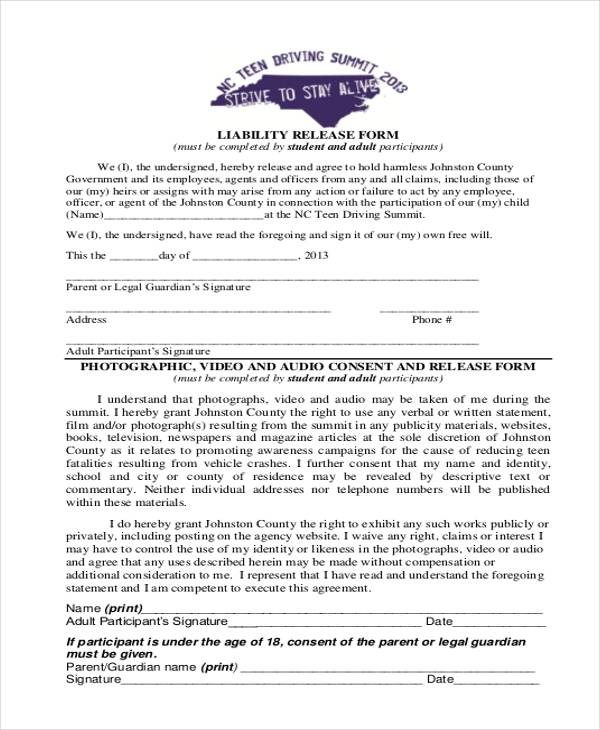 Organizers of a swimming event organizers can download this photographic liability release form to stay legally clean for photographs taken of any participant during the event. Just edit the content, print, and use. 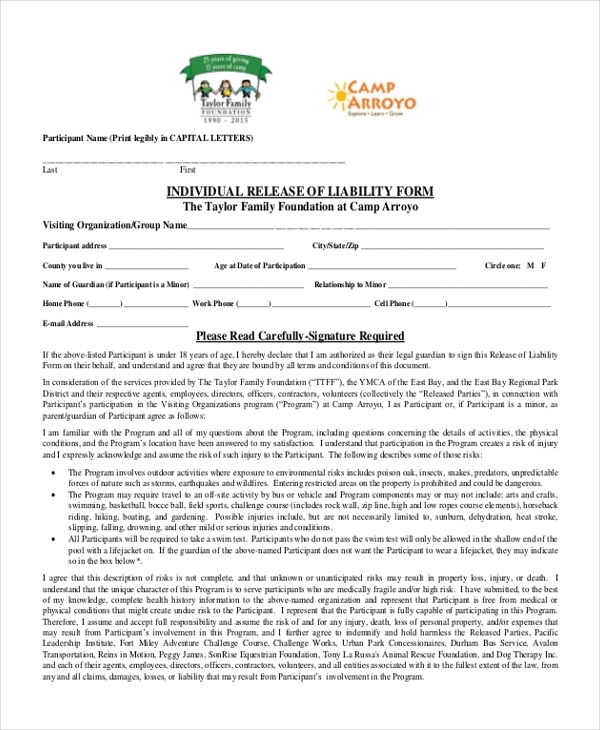 For camp organizers for school and college students, this camp and event release of liability form template can be used for giving it to the students so that they can declare that for any accident caused, the organizers are not responsible. 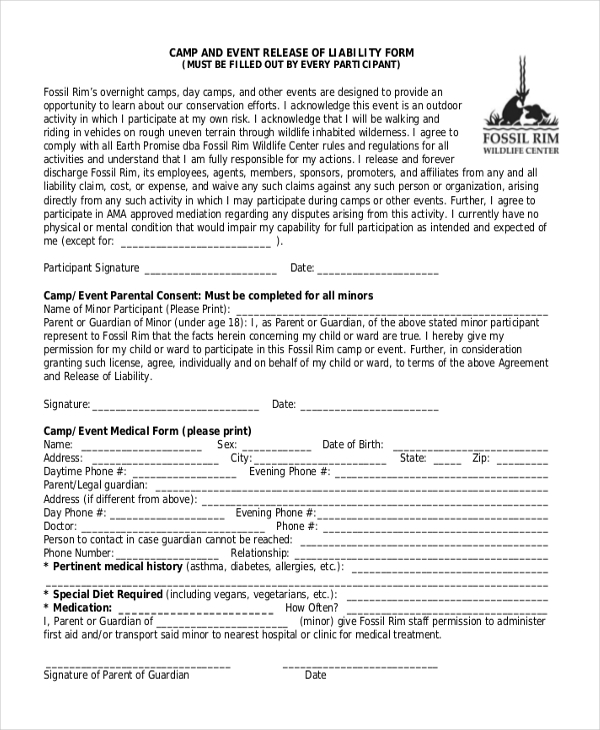 Any summer camp organizers can download and customize this individual release of liability form template for distributing to schools so that interested students can give a declaration for any damage the organizers won’t be responsible. A legal liability release form should be always created when a legal agreement is being terminated or being transferred to someone else. The releaser has to sign the form to the releasee for declaring that he/she won’t be liable or responsible for any legal issues. The liability release form has all the clauses and points mentioned under it. The release of liability form templates in various formats are very much important for this reason, it has a detailed and properly explained format with every clause mentioned. They can be easily downloaded, edited and printed for using on any purpose. You can also see Liability Forms. Any landlord of a property or any tenant who wants to end the agreement can use it. 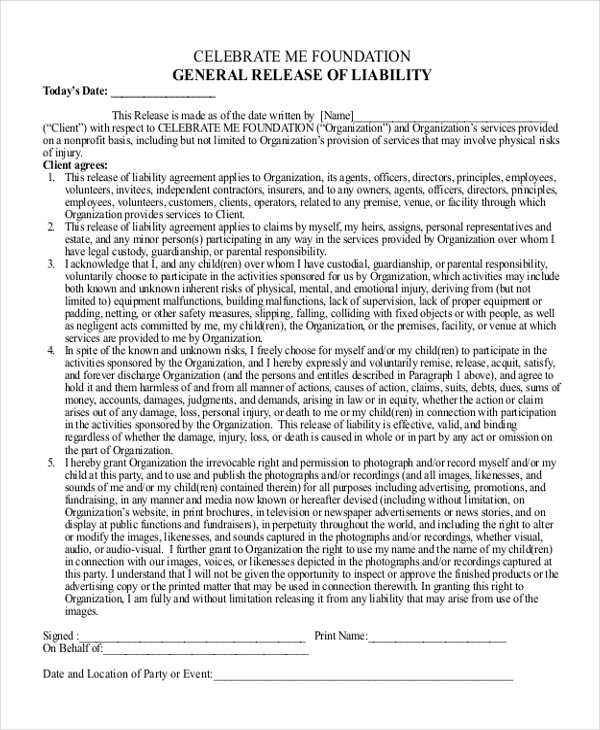 People who are organizing an event, like car racing competitions, summer camps, can use this liability release forms for getting a declaration from the participants that for any accident caused the organizers won’t be responsible. 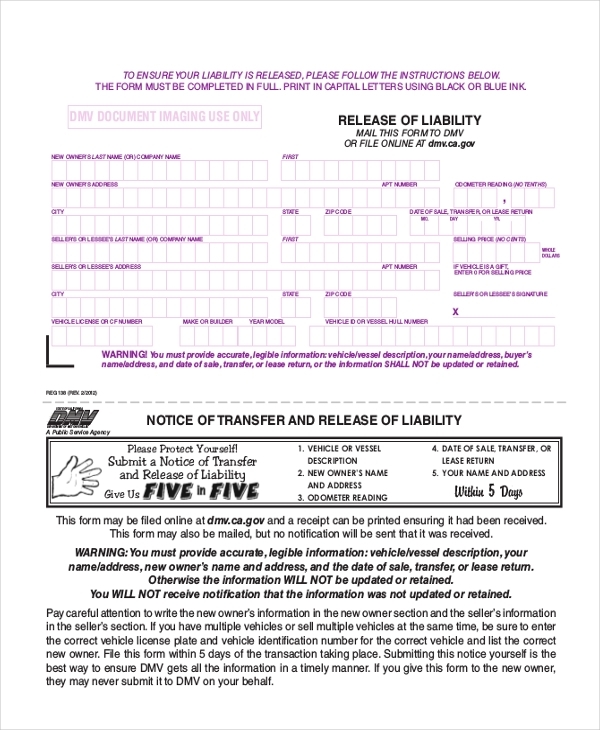 Any vehicle lease company can also use this release of liability form template for transferring or termination of any particular lease agreement too. These release of liability form templates are available in Word and PDF formats. Many varieties are available based on your requirement of the content and type. You may also see Work Release Forms. Browse through our collection of various Liability release form templates. These templates are fully customizable and 100% print ready. You can add or replace the content and use them accordingly. The templates are designed in a very professional way and are useful for every user interested. Download them and use them based on your requirement.